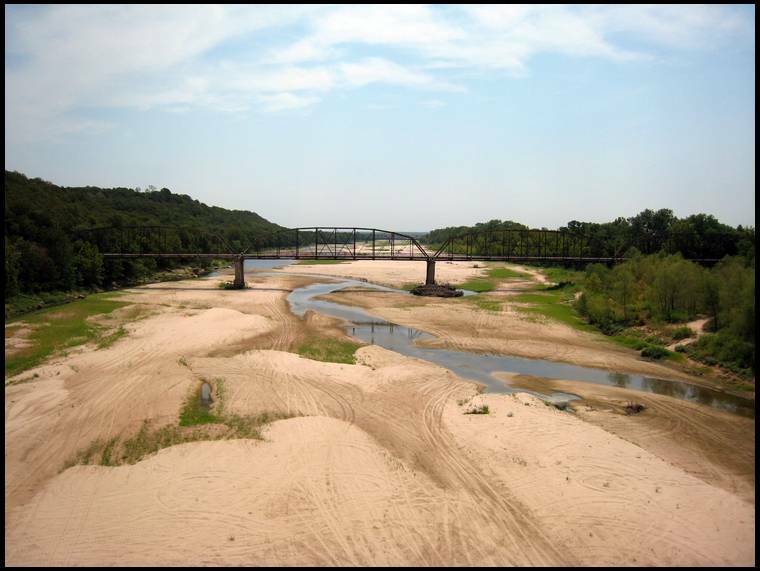 How bad was the 2012 summer drought? It was very bad. For the High Plains, Midwest and Upper South it was an agricultural disaster labeled from extreme to exceptional, the two highest drought levels. For parts of the Northeast, Southeast and Southwest, it was spotty and varied from moderate to severe to extreme. The authors of the Drought Monitor wrote the following for the week ending July 31: "In addition to the large geographic footprint of this year's drought, the quick onset and rapid ramping up of intensity, coupled with extreme temperatures and subsequent impacts, has really left an imprint on those affected and has set this drought apart from anything we have seen at this scale over the past several decades." There were record high temperatures and low rainfall over most of the country in July. Some experts call it the worst drought since 1988, others say the worst since 1956 and still others say the worst in the Heartland since the dust bowl years of the 1930s. Check out this list of the portion of states that are the two worst of the drought rating scale as of August 16, extreme and exceptional: Oklahoma 96%, Missouri 95%, Nebraska 91%, Kansas 90%, Arkansas 81%, Illinois 80%, Colorado 68%, Iowa 62%, Indiana 46%, and Georgia 38%. 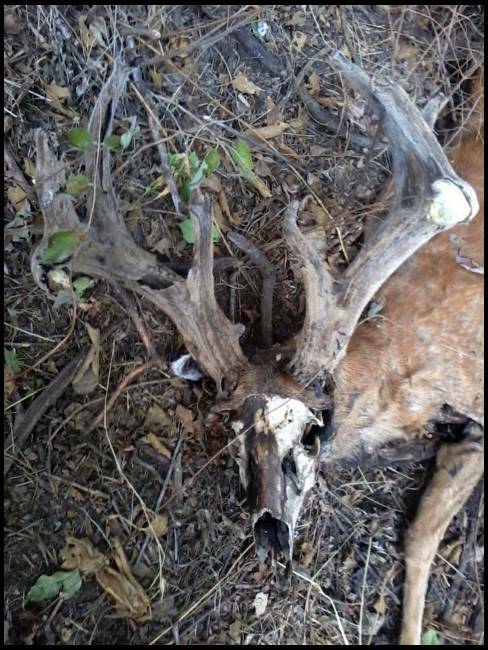 No matter what you label it, in the worst areas it had to hurt deer antler development, fawn growth and even fawn survival. It took a big bite out of the quantity and quality of summer deer foods and will likely adversely affect some fall deer foods. These are not just food plots but also soft and hard mast and natural vegetation browse plants in addition to important fawning and escape cover. In a normal summer, protein levels and palatability of all plants decline from high levels in spring to lowest levels of the growing season in late summer and fall. This decline in a drought is of course even worse, starting earlier and sinking lower until hard and soft mast become available in September at reduced levels (see discussion below). In some extreme drought areas, surface water has dried up and some deer will be forced to shift their movements to find it. In some cases, this means leaving your hunting property and moving to the neighbor’s property to find water. Normally, deer get most of the water they need from the vegetation they consume. This is not the case in a severe drought because the percentage of moisture in all vegetation has decreased through the course of the hot dry summer. This buck was found dead by ray in kansas (turkulese). 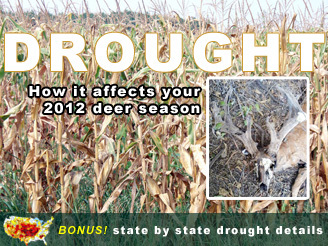 The cause of death is unknown however drought can stress deer and create environments ripe for diseases like EHD and Bluetounge. Summer food plots in drought areas have likely taken a big hit from lack of rain and record hot temperatures. 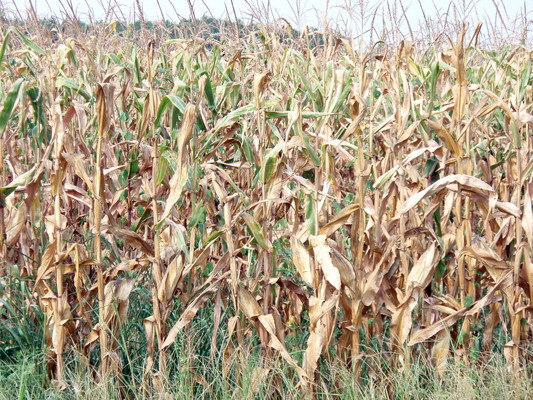 Crops which are somewhat drought resistant and resilient include grain sorghum and alfalfa. These will hold deer into fall hunting season. Also, don’t give up too soon on white clovers, don’t plow them up and replant! I have repeatedly seen stands of Durana and Patriot white clover that looked terribly drought stricken in August, come roaring back after good rainfall in September from both root system and seed. Plots are even better if they are in small or linear plots that are partially shaded and protected from the sun. These withstand droughts better and recover sooner when it does rain. Don’t forget to fertilize clovers and alfalfa in September with 300 to 350 pounds of 0-20-20 or equivalent to speed up recovery of the plants and attract deer sooner and better. Postpone planting fall food plots until soil moisture eventually becomes available. This is risky because September and October are dry months in most of the country and of course this is when bow season is open, so you will have to depend on soft and hard mast to attract deer if these are available in your hunting area. When planting late in cooler soil, plant cereal rye or wheat mixed with Trophy Radishes or turnips and crimson or red clover as these species germinate and grow faster than other alternatives. The condition of soft and hard mast across the U.S. is likely to vary a lot this fall. Much of the country had an early spring with a good bloom period and little or no killing late frosts. However, spotty late freezes across most of the northern states including but not limited to New England, New York, Ohio and Michigan severely damaged the apple, grape, and white oak acorn crops because they hit when many buds and blooms were open. The red oaks should be okay because their production is fairly consistent and their acorns take two growing seasons to mature. This years’ red oak acorn crop bloomed in the spring of 2011. Still, between late spring freezes and droughts the summer and fall food supplies of deer and other wildlife in parts of the northern states has been hit by a double whammy! Also, it is unclear at this time how far to the south these April freezes dipped. If you have white or red oak trees on your hunting land that did not get frost bitten, they will likely have a good acorn crop that will drop a little earlier than normal because of the early spring start. This is especially true of the white oak group which includes swamp white, chestnut, swamp chestnut, post, live, bur, chinkapin oak and others. Spring and summer droughts depending on their severity often cause oaks and other hard mast producers to channel more energy to increased reproduction in a “last ditch” effort in case their own survival is jeopardized. I ran oak mast surveys on the same 15-mile route in the Southern Appalachians for almost 30 years. Best acorn production often coincided with drought years including 1988 and others. One possible problem that began showing up in early August is the shedding of tiny immature acorns which is occurring where I live in North Georgia and other places. It is still too early to tell if this is due to heavy acorn crops in the oak crowns that are being intentionally thinned or aborted by the tree to protect the growth of remaining nuts or they are being knocked off by winds and thunderstorms. What is on the ground is definitely smaller than they should be for August, barely marble size and almost fully encased by the cap. Soft mast may be another story. If they did not get frostbitten in April, the fruit of wild grapes and persimmons will likely be smaller and will likely drop earlier than normal this fall. Also, some fruit may have been shed or self-pruned by stressed out plants when it was immature due to the drought. This is also the case for apples, crabapples and pears. This has already occurred in some areas with earlier ripening fruits like blueberries, plums and peaches. This giant kansas buck was found this past week by Kevin allen of Lil' toledo lodge. Whitetails and lots of other wildlife species will feed heavily on grapes, persimmons, apples and pears until they are gone and they may get gone early due to the early spring bloom and the severe drought. My pears are already gone. So a logical progression of preferred whitetail food might be grapes, apples, acorns, persimmons, crabapples but it will not be this simple or clear cut as several of the highly sought after foods may be available at the same time and all will disappear gradually at different times. 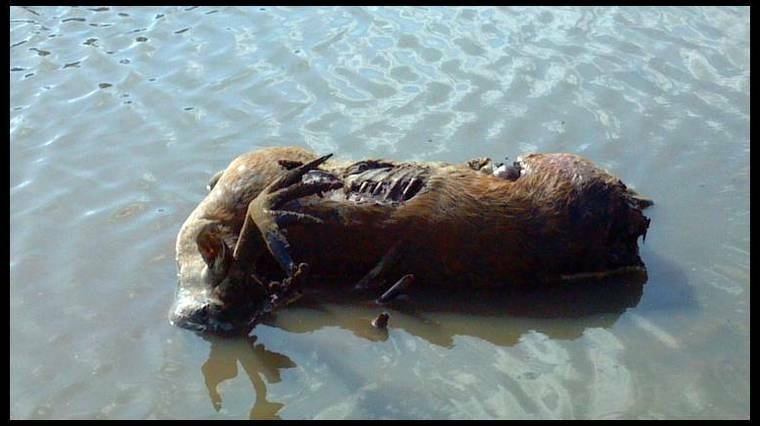 Hunting in the Heartland around big commercial agriculture might be challenging! First, there will not likely be much standing corn which provides deer with a custom combination of high quality food and cover. 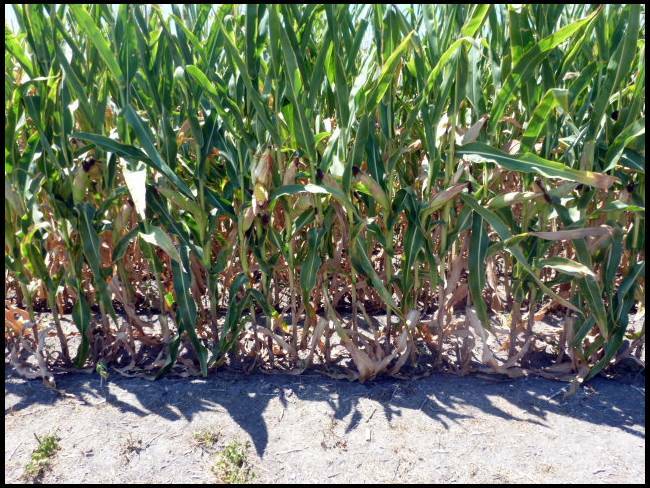 As I am writing this article, many corn farmers are either cutting their corn for silage to salvage it or plowing it under to plant small grains or brassicas when the moisture allows. This puts deer movement in a different ball game of shifting to whatever alfalfa, soybeans, persimmons or acorns that may be available. How much of a shift depends on how far they have to go to find food. It might be several miles away and obviously might be on properties that you don’t have permission to hunt. Also, soybeans might be gone as they will be defoliated early and have a much reduced crop of pods and beans that may also get harvested earlier than normal. In areas like the above, small food plots tucked away near heavy cover and planted in radishes, turnips, small grains or clovers might be like gold mines for deer hunters! Of course, with a little hunting pressure, these deer will go nocturnal quickly. With enough hungry deer, some of these small plots may get quickly over-grazed and severely depleted or killed out. THis photo courtesy of Matt and cheryl napper of shiloh ranch shows just how bad oklahoma has been hit. the Canadian river has been reduced nearly to dust. Native or naturalized vegetation might also become highly sought after by deer especially if it is Japanese honeysuckle, greenbrier, beechnuts, maples, chinkapins or honeylocust. If these occur in oak woodlands near food plots, alfalfa or soybeans, then you have found a deer heaven even if it does not have any corn! If you have honeysuckle or greenbrier, you can pull or cut these vines out of trees and drop them on the ground where they can be browsed by deer. Also, if you can find some of these that grow in full or partial sunlight, both of these plants benefit greatly from a nitrogen fertilizer such as 34-0-0 or 21-0-0 or even cottonseed meal (6-2-2), it is cheap and readily available. Do not broadcast or spread these fertilizers in large amounts or when leaves are wet as this will burn the foliage. When applied in early or mid-September, fertilizing these vines will put on a big flush of growth in September and October that will attract and hold deer. Finally, this year might be the most important one we have had in many years to scout for available deer food supplies and pinpoint where they are before the hunting season opens. Also, if we get some rain in late August or September plant and fertilize some high quality cool season food plots. The deer need them this fall to gain weight before winter and you need them to attract deer. Does that sound like a win-win plan? It does to me, it is deer management at its best!